Pavers provide a sturdy, durable option for a number of outdoor projects, including driveways, walkways, and poolside patios. Installing them properly is essential in getting the most out of your project. 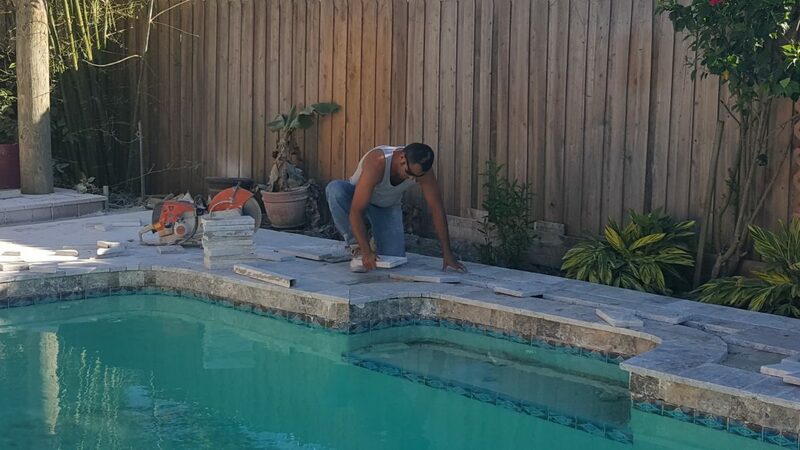 Be sure to purchase extra pavers just in case you need them as well as a pair of safety glasses to help protect your eyes from paver dust during cutting and sand during the filling in of the joints. Prep the area: Create a rough outline for your project and add four inches to its entire perimeter. Dig out the soil and any rocks that you find. Once you are finished, smooth the soil out evenly. Prepare the foundation: Start by laying your paver base (available in home improvement stores) and top that with one inch of concrete sand. Create an edge for your design, using some type of plastic or metal edging. You need to get something that is sturdy enough to deliver strong support for the pavers. Place the pavers on top of the sand. If you want to avoid having to cut pavers, you should try to arrange the pavers in a well-thought out design. If necessary, use a masonry saw to cut your pavers to the appropriate size and shape when required. Use mason’s sand to fill in the joints. A vibrating-plate compactor can be used to help you work the sand into place. Seal the pavers: Sealing the pavers can help you to preserve your paver project, while assisting in preventing weeds from growing in between the pavers. Clean the pavers before you seal them to make sure that they are free of debris. If you install your pavers properly, the process should provide a strong and attractive result that lasts for decades. Consider sketching your design before you begin and gather all of your supplies before you begin.